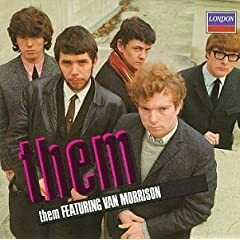 "Van Morrison" was born George Ivan Morrison on August 31, 1945, and grew up at 125 Hyndford Street in Bloomfield, Belfast, Northern Ireland as the pampered, only child of George, a longshoreman and Violet, a singer. Morrison was exposed to music from an early age, as his father, having spent time working in Detroit collected American jazz, country and western, and blues albums. His father's taste in music was passed on to him and he grew up listening to artists such as Jelly Roll Morton, Ray Charles, Lead Belly and Solomon Burke. HOLLA! 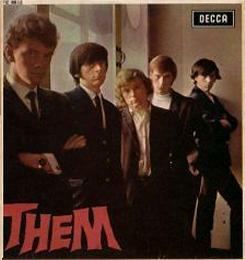 In a 2005 Rolling Stone article Van Morrison said, "Those guys were the inspiration that got me going. If it wasn't for that kind of music, I couldn't do what I'm doing now." George Ivan Morrison is 62 today. Go on Amazon and buy some Them CD's to celebrate! HOW THE F-U-C-K CAN WE NOT CELEBRATE THE HEART AND MIND FROM WHICH THESE LYRICS CAME? HAPPY BIRTHDAY, VAN THE MAN.